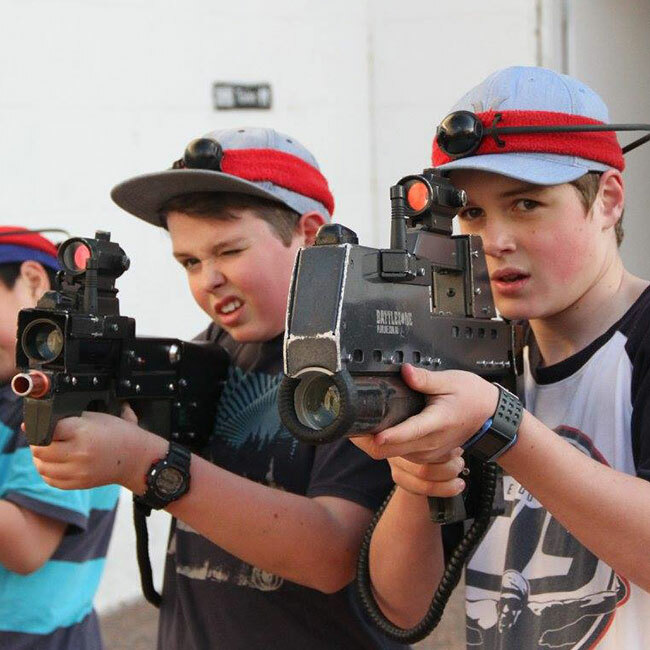 Family Fun Laser Tag - Call of Duty - Maitland Gaol - Designed for under 12's including families and friends. 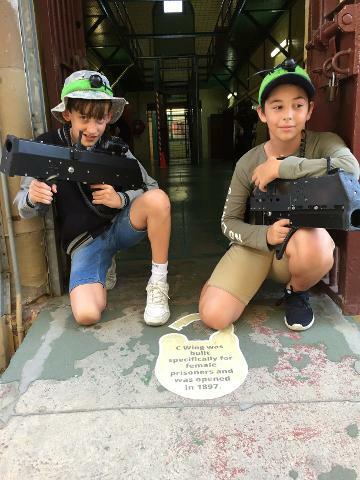 Our Call of Duty Laser Tag Party Package includes 4 awesome missions, a REAL gaol cell to celebrate your birthday including Pizza Hut pizzas, a can of drink and party bags for each child at The Maitland Gaol. The hero of the day will receive a Battlezone Playlive Gift Certificate to play laser tag again at The Maitland Gaol for free! This is our most popular laser tag birthday package! Minimum of 10 players for a total cost of $499. Additional players are charged at $42pp if included in the food package or just $39 for the laser tag gaming (no food/drinks) These laser tag events are particularly designed for under 12 year olds including families and friends.